Glass break sensors are security devices that respond to breaking glass. There are two types of glass break sensors. These are glass break detectors that listen for the sound of breaking glass and shock sensors that sense the vibration of glass being struck. 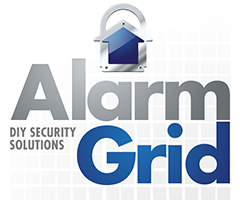 Buy a glass break sensor from Alarm Grid. Monitoring a building’s glass windows is a very important part of a complete security setup. Windows are a very common access point for intruders to get inside a home or business. Assuming that the window is locked, an intruder won’t hesitate to shatter the glass so that they can get inside. A glass break sensor will respond to the breaking of glass so that the security system can immediately perform a pre-programmed response. Typically, a user will set up their glass break sensor so that their system produces a loud siren or immediately requests police dispatch upon being activated. However, glass break sensors are used for more than just windows. They are also commonly used with protective glass casings. Many homeowners and businesses store their most precious valuables inside of protective display cases. A glass break sensor can listen for the sound of breaking glass and appropriately respond if a display case is broken. This is great for businesses such as jewelry stores or gun shops that usually keep their products inside of protective cases. Homeowners may also use them to monitor decoratives such as trophy cases or valuable artwork. There are two different types of glass break sensors. The first is a sound-activated glass break detector. This device is placed near the glass in order to listen for the shattering sound that occurs with breaking glass. These devices include built-in microphones, and they must detect both a low “thud” of an object striking against glass and a higher-pitched “shattering” of breaking glass in order for an alarm to occur. This dual-detection method helps to prevent false alarms that could otherwise be a major inconvenience. It is advised that these detectors not be placed directly upon the glass itself, as doing so may cause the device to experience damage if the glass were to be broken. The other type of a glass break sensor is known as a shock sensor. These devices are activated by the physical motion and energy of breaking glass. Unlike sound-activated sensors, shock sensors are placed directly upon the glass itself. This is done so that the device can immediately detect the physical energy and shock associated with the breaking glass. These devices tend to work best in rooms with poor acoustics, as a sound-based detector might not work as well. Unfortunately, shock sensors are somewhat more prone to false alarms. This is because they can often be set off by an object merely bumping against the glass. Both types of glass break sensors should be tested before they are put into use. A sound-based sensor can be tested with a glass break simulator that is designed to produce the sound of breaking glass. The user will also need to supply the “thud” of an object striking against the glass. This can be done by gently tapping against the glass. A shock-based sensor can be tested by striking the glass to produce small vibrations. The user should strike hard enough to activate the sensor but not so hard that the glass actually breaks.